Kerala shares a wonderful coastline extending to almost 600km, and has some beautiful beaches to show for it. 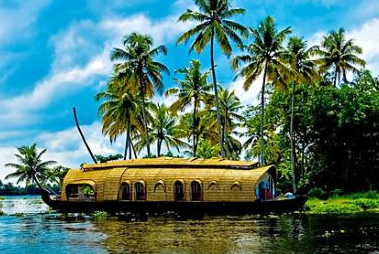 The serene backwaters charm the visitors as always, while the delightful snake-boat races thrill them immensely. The hills of the Western Ghats dressed in tea and spice plantations make for a pleasing sight, while the waterfalls and wildlife present the various wonders of nature. In case you have wondered about taking a trip to God's Own Land anytime soon, here is some useful information on Kerala. This information will help you immensely while ensuring that you enjoy every moment of your stay there. While travelling to Kerala, or any other place, it's always advisable to have your travel documents in order. Even after you have your travel documents in order, it's always advisable to have a back-up provision in case the original documents are misplaced. There are a list of countries where visa-on-arrival is applicable. Find out if your country is on the list. Apart from that, you require a visa to visit Kerala, along with a valid passport of the country of your residence. It's best to get a tourist visa which is applicable for six months for visiting India. No limit has been fixed for the amount of currency that is brought by the visitors to the country. Banks are open for transactions from 10.00 -15.30hrs on weekdays and on first and third Saturdays. The second and forth Saturdays have been designated as bank holidays. Apart from that, one can use MasterCard, credit and debit cards almost everywhere in Kerala. Cash however, should only be used for carrying out day-to-day transaction and everyday expenses such as food bills, paying for tickets when going sightseeing and purchasing items from local shops. There are facilities for the conversion of currency at the airport itself. Besides, at places where you can use a VISA, you will also find a lot of ATM's or banks. This way, you will be spared the trouble of carrying extra cash with you at all times. As far as public transport is concerned, you should avoid using them, especially on a holiday. The best options for you would be to hire a cab or a private vehicle. Not only are both cost effective but also save you a lot of time while sparing you the harassment. It would be worthwhile to download google maps, along with other apps like translators, which will help you greatly in reaching a particular destination without any trouble. What to pack on your Kerala visit? The weather in Kerala is quite hot and humid most of the year. As such, the best option would be to carry light woolen clothes, or clothes that have natural and breathable fabrics. 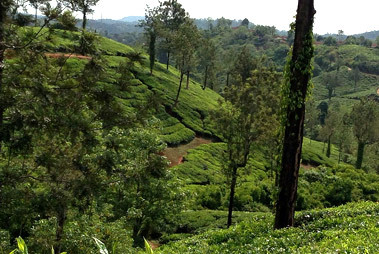 However, Kerala is also home to a number of hill stations like Munnar, Vagamon or Thekkady, and as such, if your itinerary includes these places, then you should carry some warm clothes as well. Accommodation in Kerala is hardly a problem. This is because, the accommodation options range from the basic homestays to outstanding luxury resorts. You can select your choice of stay depending upon your budget. For a unique experience, however, opt for a stay at a houseboat. These traditional houseboats, also called "kettuvallam", give you the option of choosing between a day cruise and an overnight stay. Kerala is famous for its lip-smacking cuisine, catering to both vegetarians and non-vegetarians. One particular dish which represents all other dishes is Sadya – a traditional Kerala feast which is served on a banana leaf. An all-vegetarian meal, its popular among both vegetarians and non-vegetarians. The food here is generally high on the spice factor. Some of the non-spicy food items include appams, uppuma, idli and masala dosa, besides others. All the restaurants here offer a variety of cuisines ranging from continental to Chinese. The weather in Kerala is pleasant throughout the year. As such, one can visit it throughout the year. The monsoons here last between the months of May to November (it has two separate rain seasons). The summer season, which also happens to be extremely hot and humid, lasts from March to May. The winter season, or the cool season, lasts from late November to mid-February. This is also the best time to visit this lovely state, as the weather is cool and pleasant. An added advantage is that the benefits of Ayurveda is best experienced during these months. Shopping in Kerala is a delightful experience. Textiles, gold ornaments and other precious handicrafts can be purchased in the cities of Cochin, Thrissur and Trivandrum. You can also lay your hands on handicraft products such as wooden boats, mirrors, Chinese fishing net models and elephants made of wood, besides others. Khataisons and Surabhi on MG Road in Cochin offer some of the loveliest handicrafts. However, the fixed prices on all goods makes bargaining quite a useless practice here. Kerala distinguishes itself from other states in terms of safety. It has ranked high on a consistent scale, when it comes to the maintenance of law and order. This also means that security checks are quite strictly enforced here, particularly at the entrance to malls, hotels, major tourist spots and other areas of public entertainment. If you happen to be arriving by flight, then Cochin International Airport should be your first choice. It's the largest and busiest airport of the state and the seventh busiest airport of the country. The airport operates frequent flights to different parts of the world, both domestic and international. Thiruvananthapuram International Airport is the second largest and second busiest airport in Kerala and has been in operation since 1935. When it comes to railway stations in Kerala, some of the major railway stations are Thiruvananthapuram Central, Ernakulam Town North and Shornur Junction, besides others. Some of the major trains which connect Kerala to the major cities of India like Delhi and Mumbai are Ernakulum Duronto, Trivandrum Rajdhani, Kerala Express and Netravati Express.